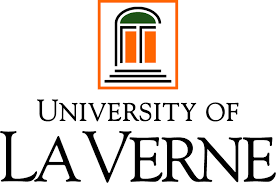 The University of La Verne is a four year, private university in La Verne, California. The University of La Verne also has two regional campuses that are on military installations: Naval Base Ventura County and Vandenberg Air Force Base. The University also offers degree programs that can be completed in their entirety online through La Verne Online. Additionally, La Verne has The Campus Accelerated Program for Adults (CAPA), which addresses the specific needs educational needs of adult learners by offering both full-time and part-time bachelor degree programs that are friendly to the schedules of busy adults. La Verne is a MyCAA approved school. The university offers a military rate in line with Tuition Assistance to active duty members, registered domestic partners, and qualified dependents. The University of La Verne is also a Military Spouse Career Advancement Accounts (MyCAA) approved school. Since 1891, the University of La Verne has been dedicated to the belief that a quality, values-based education enriches the human condition by engendering service, scholarly accomplishment, and professionalism. Though decades of growth have changed its appearance and reach, La Verne has retained its sense of purpose, seeking to provide students with individual attention to spark personal growth through intellectual challenge and development. The University takes pride in knowing its nearly 50,000 alumni worldwide have made a difference in their professions and communities.